The Salvation Army was a neighborhood religion, with a "battle plan" especially suited to urban working-class geography and cultural life. The ability to use popular leisure activities as inspiration was a major factor in the Army's success, since pubs, music halls, sports, and betting were regarded as its principal rivals. Salvationist women claimed the "right to preach" and enjoyed spiritual authority and public visibility more extensively than in virtually any other religious or secular organization. 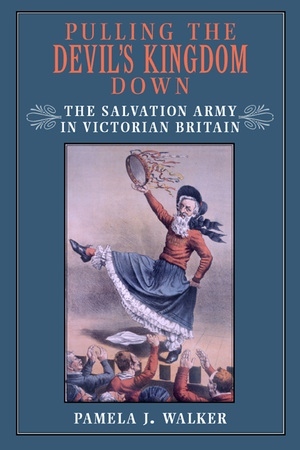 Opposition to the new movement was equally energetic and took many forms, but even as contemporary music hall performers ridiculed the "Hallelujah Lasses," the Salvation Army was spreading across Great Britain and the Continent, and on to North America. 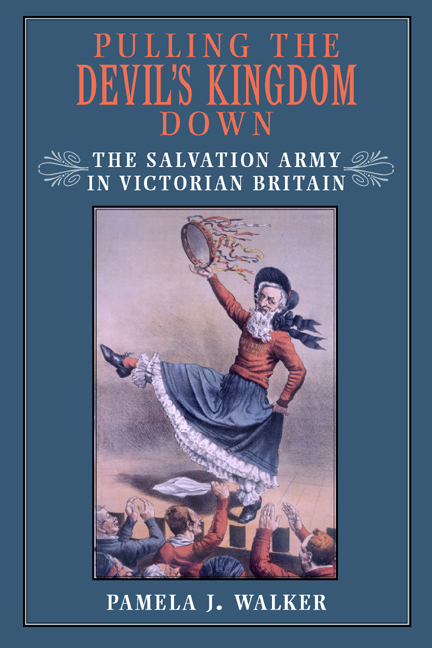 The Army offered a distinctive response to the dilemmas facing Victorian Christians, in particular the relationship between what Salvationists believed and the work they did. Walker fills in the social, cultural, and religious contexts that make that relationship come to life. Pamela J. Walker is Associate Professor of History at Carleton University, Ottawa. She coedited Women Preachers and Prophets through Two Millennia of Christianity (with Beverly Mayne Kienzle, California, 1998).